9/27 Sermon: "Missing the God Moment"
Grace served Philly Deaf in more ways than can be counted, and did so for as long as can be remembered. She was a charter member of Philly Deaf; which began as DCC in 1995. Grace served to mentor, help, and teach the Deaf women of Philly Deaf. 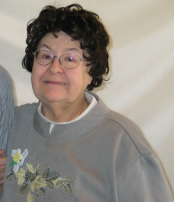 She served on the worship team, was one of the primary cooks for the church, and was usually the first to volunteer to help. She was first at church on Sunday morning setting up coffee and tea for fellowship and Cross Training study. She led a monthly ministry of Bible discussion at Valley View Senior Nursing Care Center, and would go just to hang out and chat with some of the residents every month. We could, just as easily, call her Dorcas, as one who was very involved in the ministry of Paul the apostle. The more you know about her, the more clearly was her commitment to Christ, through her service to people and His church. She was a valuable friend and a spiritual encouragement to all that she met, and will be greatly missed. Ruth Was as former member of Deaf Christian Church in Brookhaven, Pennsylvania until she moved to live with family members in New Jersey. She had moved to Valley View only six months or so before her passing. She loved the Lord, and loved her family. She was transferred to Taylor Hospital's Crozier Chester Hospice department where she expired after having arrived only a couple of days. She is survived by 16 Grandchildren and 26 Great-Grandchildren. She was loved and will be missed by many friends. Arlene is the most recent of Philly Deaf members to pass on to her eternal reward at the establishment of this blog. She and her Deaf son, Steve, attended Deaf Christian Church, then Philly Deaf, regularly. Since her passing, Steve continues to attend the Deaf church on a weekly basis. Arlene was one of the charter members of this ministry, beginning as Full Gospel Deaf Fellowship; changing to Deaf Christian Church, then transitioning to the city of Philadelphia proper, and the name changing to Philly Deaf. One fact that you would observe about Arlene is that she was 'ordinary.' Like the description of Jesus, there was nothing in particular that would draw anyone to her, but it didn't take long to love her. and Her love for the house of God and the people of God was obvious. She loved fellowship and would attend any and every event at the church that she could. In her latter years, these times become more infrequent, but we knew her heart, thoughts, and prayers were with us. 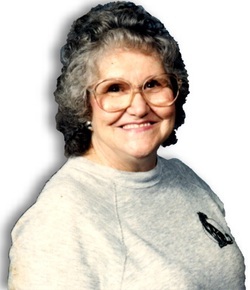 Grace Reese was a cheerful member of Deaf Christian Church for many years. Though her life was cut short, she never missed an opportunity to praise her savior to whom she was grateful for salvation and the blessed hope of eternal life through Christ. Right up to the end of life, she sought to encourage others in the faith. Even on her bed of suffering in the last weeks and days of life, she would often find a way of encourage those who were there to visit and encourage her. As her photo here depicts, she was a bright spot in a the life of Deaf Christian Church (now Philly Deaf). 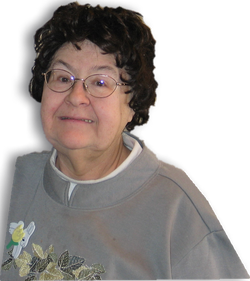 Though she's been in the presence of heaven now for many years, we seek to honor her memory and to remember her contribution to the spiritual life at Deaf Christian Church. Maurice and Joan Glisson, though Hearing, have been terrific friends of Deaf Christian Church (now Philly Deaf) and the Deaf community. They lived together in the Brookhaven, Pa area, where Joan continues to reside. They became the parents of their grandson, Jesse Glisson, and sacrificed in many ways to serve his spiritual, educational, and social needs as he grew up in their home. They moved to locations where they felt they could best serve his educational needs, and, though later in years of life, they committed to taking sign language lessons so that they could communicate with Jesse in his cultural language. Maurice was also a friend of God and now walks in His presence. He is whole, and he is remembered as a good friend to us. Paul and Blanche were the first couple to begin attending Philly Deaf (formerly Deaf Christian Church). It was their contact with Pastor Larry Weed of Full Gospel Assembly of God church that was the catalyst for the beginning of this Deaf church ministry on November 5, 1995. Paul was Deaf; Blanche was Hearing. They were faithful attendees to Deaf Christian Church throughout the years. They loved God, and often had an encouraging word to share about faith in Jesus. If you asked Paul about his favorite song, it would almost always be..."It's bubbling, It's bubbling, It's bubbling in my soul..." ...and he would sign it for you if you asked. Mervin Pfautz was a faithful adherent to Deaf Christian Church for many years. He was Deaf and Blind, but only ever prayed for healing of his eyes. He wanted to see again, and now he does; in the presence of his savior, Jesus Christ. Mervin was a joy to be with. He was attended to often by Grace Bishop who was the primary tactile interpreter for Mervin over the years, though many others served him as well. Mervin was a joy to have at Deaf Christian Church (Now, Philly Deaf). He rarely complained, and often would rise from his seat during 'testimony time,' to be led to the front to tell how good God had been to him, and to share a favorite verse of scripture. Arlene Shader was a 1995 charter member of Philly Deaf (formerly known as Deaf Christian Church), along with her son Steve. She was a great example of faithfulness and loyalty. This page is presented in her honor, to remember all of the Philly Deaf saints who have gone on before us.